BevNET is pleased to announce the addition of a pair of leading industry voices to its roster of speakers and panelists for the Dec. 5 and 6 BevNET Live in Santa Monica. Michael Burgmaier, an investment banker and Managing Director with Silverwood Partners, will again be participating in the event, providing an overview of the current investment environment for entrepreneurial beverage companies, as well as a look at the kinds of financial information that marketers can compile in order to successfully raise capital from investors. Burgmaier has spoken at previous BevNET Live conferences on the investment goals of strategic acquirers, as well as offering deep dives into the investment process — his presentations, which are clear, accessible, and informative, have proved to be invaluable for entrepreneurs. On the marketing side, BevNET Live will feature a topic worthy of its geographic location — near Hollywood. To that end, BevNET is proud to announce that John Lennon, the President of Xyience, will be participating in a panel entitled Extending Brands through Celebrity. As fast-growing Xyience Xenergy is the Official Energy Drink of the UFC (Ultimate Fighting Championship), Lennon’s current position has him working to leverage the popularity of UFC competitors behind the brand’s growth. As former president and CEO of Pabst Brewing, Lennon also has extensive experience in helping seed a beer brand’s popularity among musicians and other cultural icons. Questions? Contact Jeff Hyde at 617-715-9673 or jhyde@bevnet.com. 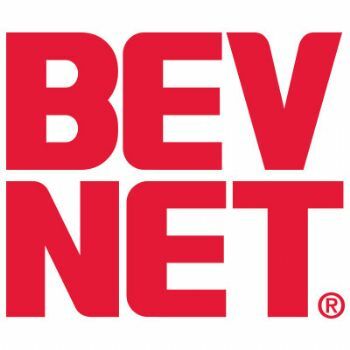 To learn more about how your company can sponsor BevNET LIVE, contact the BevNET Sales team at 617-715-9696 or sales@bevnet.com. Mr. Lennon has over 25 years’ experience in the international beverage industry. Since November, 2010, He has served as President of Xyience, a sports nutrition producer of the rapidly expanding Xyience Xenergy, the Official Energy Drink of UFC, the world’s fastest growing spectator sport. Prior to that he served as President & CEO of Pabst Brewing Company, America’s 3rd largest brewer, where he led the company transformation to its first organic sales volume growth in two decades. In 2006, he launched International Beverage, USA as its first employee. InterBev USA is a subsidiary of ThaiBev PLC, a leading producer of Spirits and Beer with $2.6B in sales and a market cap of over $4.0B. Prior to joining International Beverage, John served as President and CEO of Pyramid Breweries, a leading player at the forefront of the fast-growing U.S. craft beer category. Before that he was President and CEO of Beck’s North America, and his career has included roles as VP and General Manager of Guinness Caribbean and Latin America, and in various senior marketing and sales positions with The Nestle Company, Mexico’s FEMSA Cerveza, Grand Metropolitan (now Diageo) and with Guinness in both the USA and Ireland. Mr. Burgmaier is a Managing Director with the investment banking firm Silverwood Partners, where he leads the firm’s activities in the food & beverage, Healthy Living and consumer sectors. Mr. Burgmaier has been active in venture capital and M&A for consumer companies since the early 2000s. He also co-leads seminars twice a year on raising capital for consumer-facing companies and also co-organizes twice a year investor-only, invitation-only networking events for VC/PE investors and strategic acquirers. At his former venture capital firm, Mr. Burgmaier focused on natural, organic and premium consumer products and web 2.0/new media. Mr. Burgmaier is also a former Consultant and Case Team Leader with Bain & Company. He has also worked with a variety of government agencies and nonprofit organizations in executive roles. Mr. Burgmaier is the former Chair of The Natural Pasta Co. dba Putney Pasta and has served on several corporate boards. At Silverwood, he recently led the firm’s engagement with Function Drinks in their sale to Sunsweet Growers. Mr. Burgmaier is a member of the Social Venture Network (SVN) and was named as one of the “40 Under 40” leaders in the Natural Products Industry by Natural Foods Merchandiser in 2008. He has an MBA from the Tuck School of Business at Dartmouth as well as Master of Public Policy from Duke University and a BA in Economics from Boston College.